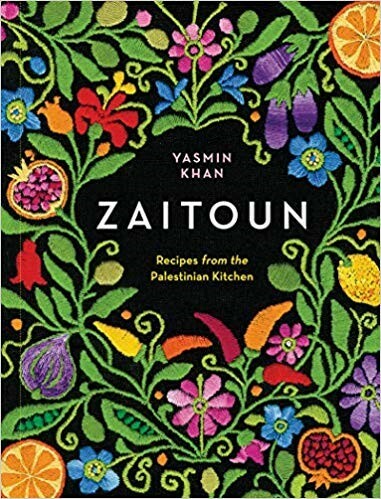 Yasmin Khan’s new cookbook, “Zaitoun,” documents her travels in the West Bank and Gaza, and the beauty of the food she encountered there… taken from The New York Times. 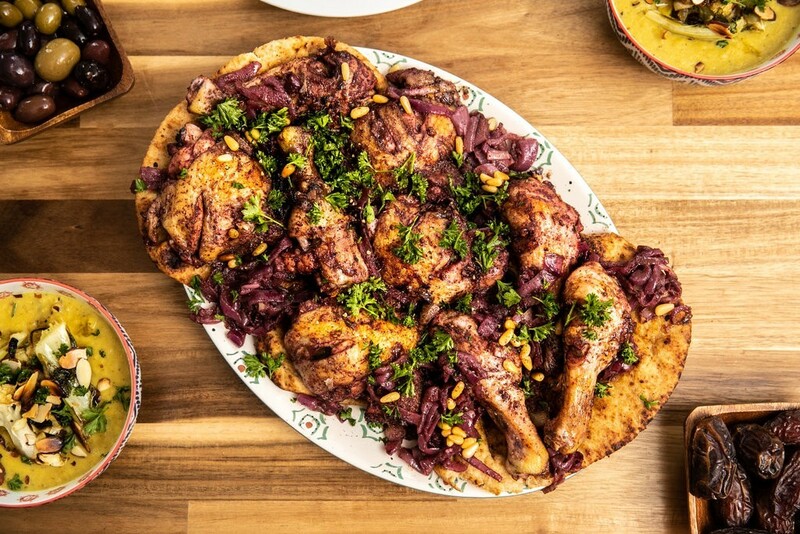 “Zaitoun: Recipes From the Palestinian Kitchen,” which is being published in the United States this week by W.W. Norton & Company, documents Ms. Khan’s travels, illuminating the beauty of Palestinian cuisine and the political realities that envelop it. Cauliflower florets and leaves are roasted with cumin and coriander for this soup from Ms. Khan’s cookbook. The heads of cauliflower at the Whole Foods Market near her sister’s apartment in Brooklyn are comparatively puny. 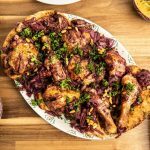 Ms. Khan chopped them into tiny florets, leaves intact, and roasted them in the oven, planting the florets gently into a bowl of soup she had made that morning from roasted cauliflower blitzed with garlic, potato and turmeric. Palestinian food can be sorted into three categories, she explained: There is the bread- and meat-based cooking of the West Bank, which includes East Jerusalem and stretches to the Jordan River. The food of the Galilee, which sits inside Israel and includes cities like Nazareth, closely resembles Levantine cuisine, with its tabbouleh and kibbeh. The cooking of the Gaza Strip, a dense patch bordering Egypt, is largely fish-based and fiery. Among Gaza’s most treasured dishes is zibdiyit gambari, a tomato stew spiced with jalapeños and speckled with dill. The stew is thick with heat, the shrimp cooked just until their gray bodies turn flush. What unites these different kinds of Palestinian cooking is the love of the olive, or zaitoun, and yogurt, too. Ms. Khan spooned yogurt over a hill of roasted carrots, some as purple as plums, others sunburst yellow, tossed with sesame and nigella seeds. She chalked their surfaces with the yogurt before showering them with olive oil. Ms. Khan fell in love with Palestinian food when she first found herself in the West Bank 10 years ago, in her past life working in human rights with War on Want, a British charity committed to anti-poverty initiatives. (Ms. Khan left the group in 2011. In 2018, it was one of 20 organizations Israel blacklisted because of its support of an economic, cultural and academic boycott of Israel.) The days were distressing. “Seeing the physical apparatus of the Israeli occupation of the West Bank was very hard to witness,” she said. She found that food soothed the frenzy in her mind. Once the sun set each evening, she sat at dinner tables in villages and cafes, eating satin-smooth hummus and baklava with brittle flakes of pastry, their diamonds dripping syrup. 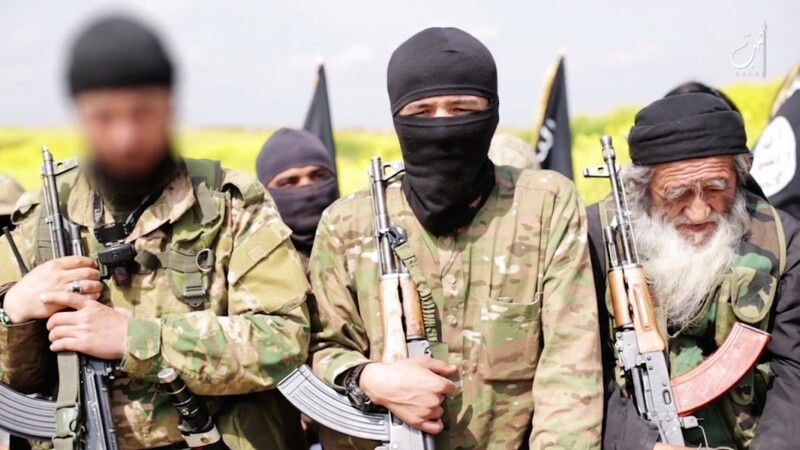 “One of the things about the Middle East is that no matter what is going on, you’re going to make sure that any guest is showered with food and drink,” she said. She also made a point not to quote Israeli sources in the book, an absence that Ms. Khan hoped would send a message: Palestinian voices are not always heard. Listen. 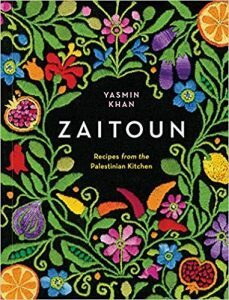 “Zaitoun” is the latest entry in an expanding canon of cookbooks published in English that are proudly Palestinian in name, including Laila El-Haddad’s “The Gaza Kitchen” (published in 2013) and “The Palestinian Table” by Reem Kassis (2017). For years, the lone substantial English-language Palestinian cookbook was “Classic Palestinian Cookery,” by Christiane Dabdoub Nasser, which was published in 2000, and which Ms. Khan leaned on heavily for her research. For Ms. Khan, highlighting the resilience she saw in Palestinian cuisine was a vital aspect of her project. She has faced challenges to her mission. In Britain, she has received occasional comments from strangers on social media telling her that Palestinian food didn’t exist.